There and Back Again: Side A halberd complete! 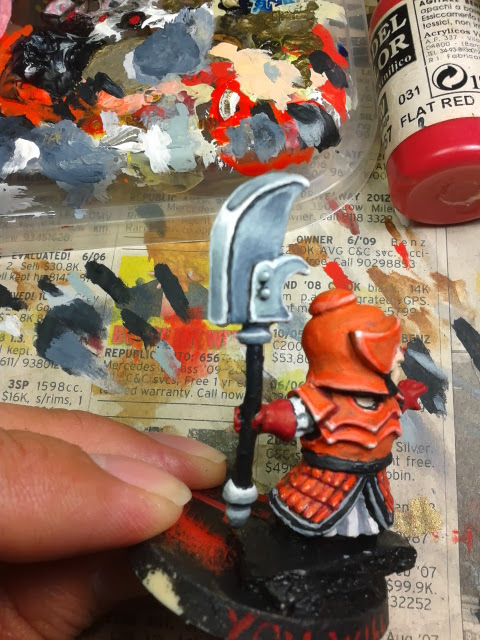 And I have finished painting one side of the halberd. Other than the painting not being of the ultimate smooth kind, I am quite pleased with my efforts. Time to paint the other side of the halberd.